The wait may finally be over for millions of Rajinikanth fans with reports that the superstar is likely to finally launch his political party on his birthday December 12. In August, the ‘Rajini Makkal Mandram’, a precursor to the launch of a political party, was unveiled. The Hindu reported that the progress was made after week-long meeting of district units of the mandram held between October 5 and 11. The report said that the Mandram hopes to mobilize around 10 lakh members for the launch whose venue could be Tiruchi. While the actor has made it clear that he is ready for the political plunge, he didn’t set a date on it. The ‘Thalaivar’ hasn’t confirmed the December 12 date too, not yet. There has been excitement among his fans and in political circles since Rajini announced his desire to join politics soon. The superstar insists his politics will be markedly different from the current scenario in Tamil Nadu. 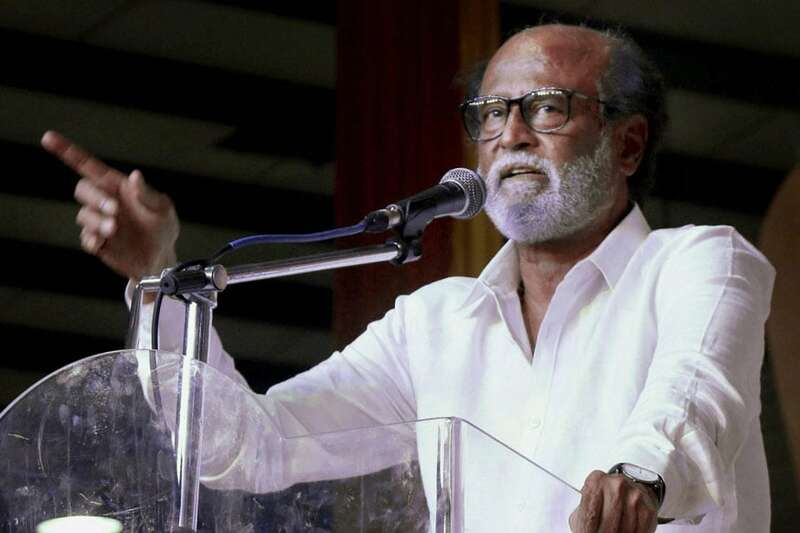 While making public his political intentions in December, Rajinikanth had said promised his fans "spiritual politics, which is free from caste and creed". In keeping with this idea, the"Rajini Makkal Mandram was started in August. The actor kept his promise of spiritual politics by barring members of religious and caste based outfits are barred from joining it. The 36-page bylaws of the mandram included several other stipulations like maintaining discipline, a firm no to anti-social behaviour and the need to stay away from addiction to "bad habits". Over the last few months the mandram has been enlisting embers from the grassroots level and been appointing office-bearers. His thrust on spiritual politics had drawn flak from several quarters, including the DMK, with leaders saying there was no place for such a line in the Dravidian land and branding him as the voice of BJP-RSS. Though Rajinikanth clarified that "spiritual politics" only meant secular politics transcending religion, caste and a commitment to good governance, it failed to cut ice.